Our Private Banking team consists of seasoned professionals who have been helping qualified clients like you achieve their financial goals for years. 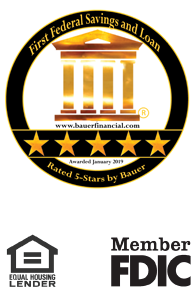 They have extensive expertise, broad perspective, an ability to listen and understand your needs, and thorough knowledge of our products and services—which means they will tailor solutions to help you prepare for a strong financial future. Our typical clients are successful business owners, executives, professionals and affluent households. What truly sets us apart is that all our expertise is delivered through a community bank experience. That means a personalized banking relationship with a private banker who knows you and your financial needs well, is easily accessible, and is focused on working with you to achieve your long-term goals. Talk to one of our bankers to discuss your financial goals and to get started today. Enjoy products and services customized to fit your life and your preferences. Flexible options in home loans, personal lines of credit, credit cards and more.